The boy licked off the blood on his hand with his tongue. He could feel pain as he tasted the blood in his mouth. Come to think of it, no part of his body was undamaged at that point. His whole body was filled with injuries. But he still managed to laugh. He laughed while being covered with blood. He was happy. He was happy taht he survived. He was happy that he survived that hellhole. He managed to survive by using his comrades as a stepping stone. Suddenly, the giant stone that covered one of the stone walls began to move, letting in a stream of light. The boy held up his hand to block it. After a while, his eyes began to adapt to the light. The boy didn’t know who the people outside were. Actually, there really was no need for him to know them. The boy spat out the intestine he had been chewing, and answered. He had forgotten his name a long time ago. After all, it was necessary to throw away useless things like names or memories in order to survive in this hell. The old man approached the boy with a satisfied smile. The boy flinched, and instinctively swung his sword, but it was useless against the old man. The boy had swung his sword straight at the old man’s neck, but the one to get hurt was unexpectedly, the boy. Looking at the boy, who had been stumbling backwards due to getting his hand ripped, the old man spoke. The man who had been standing behind the old man. He took out the whip hanging on his waist, and spoke with a dreary face. After four days, when the old man came back to visit, the boy looked very different from before. It was evident by the fact that the boy, who were a clean white robe, greeted the old man properly. The white leader from the Earth Sword Party. This was the new form of the boy. Since it’s been so long since he had been called by that name, he just barely managed to remember his name. Un Hui quietly followed Guardian Ju. He didn’t know what would happen in the future, but he definitely wouldn’t act foolishly like before. This place was filled with monstrous experts like this old man here. If he made trouble here with the little power he had, he would die in an instant. Un Hui breathed carefully, and waited. Like the giant plaque of the building that read “Temple of The Sacred Heart (聖心殿)”, the door was equally giant. After a while, the doors opened outwards, and the Pope who had been sitting inside could be seen. The man who held the most power in the history of the church, and the Pope who was the strongest out of all others in history. Gongson Chun Gi. He greeted his little visitor with a bored face. But unlike what he was saying, one couldn’t really sense any thrill coming from Gongson Chun Gi. Ju Sang San became a little agitated when he saw this. Gongson Chun Gi looked at Un Hui with dull eyes. Un Hui flinched, and stepped back. Without even knowing why he was doing it, he began to look around urgently. Gongson Chun Gi, when he saw the boy’s actions, became a little interested, and stood up. Gongson Chun Gi walked even closer to Un Hui, and looked down at the boy. Then, the man brought up Un Hui’s chin, observed the boy for a while, then grinned. When Guardian Ju made a expectant face while trembling, Gongson Chun Gi looked at something, clicked his tongue, and shook his head. When Guardian Ju made a face of despair, Un Hui, who had been quiet till then, opened his mouth. A rather defiant voice. When Ju Sang San frowned and tried to reprimand the bot, Gongson Chun Gi nodded. Un Hui looked straight at the Pope as he replied. The boy’s eyes were filled with a certain thing. A strong energy was contained within those eyes. It was desire. When Ju Sang San tried to subdue Un Hui with a angered face, the Pope blocked him. Gongson Chun Gi pushed away the raging Guardian sideways, and walked over to Un Hui. He opened his mouth. The Pope smiled. It was a smile that contained a hint of his mischievousness. Gongson Chun Gi stroked his chin, and opened his mouth. Gongson Chun Gi pointed at the ground when Un Hui asked this. When Guardian Ju screamed loudly, Gongson Chun Gi pushed the man away again and spoke. Un Hui didn’t say anything, and looked at Gongson Chun Gi’s eyes. The Pope’s eyes were filled with mischievousness, but it was also filled with confidence. And with that confidence came an immense amount of energy that wouldn’t bow down to anyone. Gongson Chun Gi revealed his white teeth, and smiled joyously. Un Hui thought a bit. What should he stake? Did he have something that actually was worth the entire church? Un Hui, who had been looking at the grinning Pope, was stuck with a single thought that opened his eyes. Un Hui looked directly at Gongson Chun Gi, and opened his mouth. Un Hui struck his chest confidently, and spoke. Gongson Chun Gi simply looked at the boy without saying anything. And then he smiled. Gongson Chun Gi finished speaking, and wordlessly stretched his fist out to Un Hui. When Un Hui made a confused expression, Gongosn Chun Gi grinned and spoke. Un Hui’s eyes shone, as he struck his own fist on the Pope’s. Whilst Guardian Ju was just standing on the sidelines with a sour face, Gongson Chun Gi spoke. Un Hui made a “Oops” face and nodded. That was how the ten year bet between Un Hui and the Pope. And the end of the bet resulted in Un Hui’s defeat. It was the administrator’s defeat. If he had a bit more time, the church would’ve been his. Because of that thought, the administrator’s face as he looked at Cho Ryu Hyang was a little twisted. The administrator bit his lips. The position as the heir. That position could’ve been his. Over the past decade, he and the Pope made a total of three bets. The first two bets, the administrator won. —You’re pretty good. If I don’t manage to find a disciple by the end of the ten-year period, I will make you, Un Hui, the heir of the church. When Un Hui won the second bet by becoming an expert of the harmonious level, that was what the Pope had said to him. Administrator Un Hui. He was excited. After all, the Pope had said his name for the first time. So he began thinking that he won the last bet already. But that wasn’t what happened. A bitter taste spread throughout his tongue. There wasn’t even a year left until the ten-year bet between him and the Pope ended. It truly was unexpected. Just how should he take on the kid that the Pope brought in from the outside? When the Pope said this to Un Hui as soon as he returned, Un Hui felt a surge of emotion wash over him. It wasn’t because he lost the bet. It was because of what the Pope said; that ‘I’m sorry’ from the Pope was what made him sad. He couldn’t admit it. No matter how much he looked, the boy wasn’t well-developed, nor did the boy look physically fit. So why? Why was this boy chosen to be the heir of the church? The Pope surely didn’t choose this boy just to win the bet. The Pope Un Hui knew wasn’t someone to do something like that. This was his conclusion. Un Hui ground his teeth. He had to find the truth. He had to find it, so that he could go tell the Pope that the Pope made a wrong decision. Regardless of the past, the position as the Pope of the church didn’t really interest Un Hui. It was just that he was afraid that he would be distanced from the man he already regarded as his teacher, the Pope. Un Hui took a look at the boy who called him out, sighed in his mind, jumped down to the ground and bowed. The boy surprisingly managed to find him while he was in hiding. The administrator lifted his head to take a look at Cho Ryu Hyang. His eyes, which had been so full of complex emotions just a moment ago, looked extremely calm, like a slate of ice. After all, he wasn’t an inexperienced person who would show his inner thoughts to others. The boy probably did have something special. After all, the fact alone that the boy managed to find him proved that he was abnormal. He could’ve made a mistake that revealed himself to the boy without realising it. While he had been thinking that, Cho Ryu Hyang looked around and spoke. The administrator’s eyes narrowed. Formation? Could it be that this boy managed to find the Bloody River Heaven Destroying Sword Formation (血河滅天劍陣)? The formation that no one managed to notice in the history of the church? That shouldn’t be possible. Cho Ryu Hyang, not caring about the administrator’s current feelings whatsoever, looked at the people in hiding and thought. Cho Ryu Hyang’s eyes sparkled a bit. There were about a hundred people hiding here, and when an enemy attacked, they would surely come out like a fierce storm to attack the enemy by following a specific rule. And the variables that controlled the transformation of this rule. These variables were more numerous than he had preciously thought. Cho Ryu Hyang grabbed a stick from the ground, and began to draw something on the ground. A tactical formation and a normal formation weren’t all that different in essence. That’s why he began to draw the entire formation out on the ground, in order to predict all the moves that made up the formation. At first, he didn’t know what the boy was doing. After a while, the administrator’s eyes widened. The thing the boy was drawing right now was definitely a destruction method of the Bloody River Heaven Destroying Sword Formation. 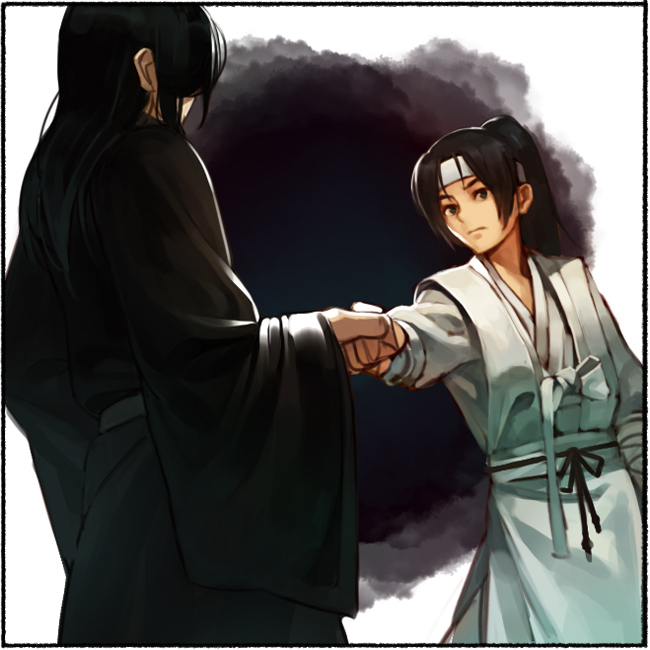 The administrator quickly swiped away the thing Cho Ryu Hyang had been drawing with his feet. Then, he began to glare at Cho Ryu Hyang with enraged eyes, and thought something. Good luck for the SAT’s. As for studying, I didnt really study. I took the PSAT’s although that didnt really help aside from learning about the format of the exam and learning how to manage your time. That was like the limit of me studying. The SAT questions change every time so learning past questions isnt that helpful. As long as you do well in your classes you should be able to do well on the SAT’s. You can take the SAT more than once so if this is your first time don’t stress. Thank you for the mighty good advice, lord bebe. Really appreciate it. Ufufu, that was an amusing chapter! Yes, very interesting! Notice his greatness! Lol, drawing the destruction method nonchalantly rofl! Firstly, you can’t really study for the SAT. It’s not that kind of test. That said, the key to a good score on the SAT is to actually take the SAT a bunch of times. Yes, the actually SAT. Take it as many times as possible. Also do as many online “practice” versions. The SAT can be stressful. Being nervous or bowing under the pressure can effect your score more than not knowing the answers. To alleviate this, you need to actually put your self in that situation. It also helps to have some scores under your belt, so that your “final” SAT is less intense. By then you know what you will probably score and where you can probably go, so all you will be doing is trying do is beat your previous high score. To answer your question. I started taking practice tests at the end of sophomore year and started taking the actual test in junior year. It also helps to take it at the same testing center, thought that’s not always possible. It really helps to take it as often and as early as possible. Its not as stressful when you know it doesn’t really count. I don’t remember what my final score was, its been a while (guess i dated my self with the Prodigy reference, haha, “Coooome play my game, I’ll test ya… / Psycho-somatic addict-insane”) but I did get a perfect score on the verbal section. You can be good at taking the SAT and get a “good” score without being “smart” it just takes practice. Whoa, thanks for the advice. It’s kind of reassuring to know that people didn’t study much… lol. I should start studying, though. Oh, yeah, I forgot about the P-SAT, meh. I didn’t like it as study prep. I would rather take the actual test or online tests. I agree about the PSAT being fairly useless for studying for the SAT. It was much more helpful to take the “real” old exams of the SAT. The most important thing is to get at least 8 hours of sleep before the exam!!!! Also you can take it more than once so don’t worry too much. The first time you take it is like a yardstick to see how much you need to revise. Thanks so much for the chapter, I really love this one!! Like what the other people said, you can’t really study for it, but you can familiarize yourself with the format. The one thing you should learn to do is pace yourself. Don’t spend too much time on a question, otherwise you’ll run out of time. Do the easy questions first to get all the points possible. Good luck! The night before the exam yet I ended up getting into honors on my first attempt. Honestly, as long you go to good high school and take your classes seriously there is nothing to worry about. I would take the PSAT to learn the format of the test, practice the timing. The hard test is gmat, mcat, and other graduate school exams. P.S Check if you are eligible to first time discount on the exam.